Due to the delicate nature of Box Canvases it is highly recommended that these are collected, as opposed to sending through the postal system, to prevent damage. 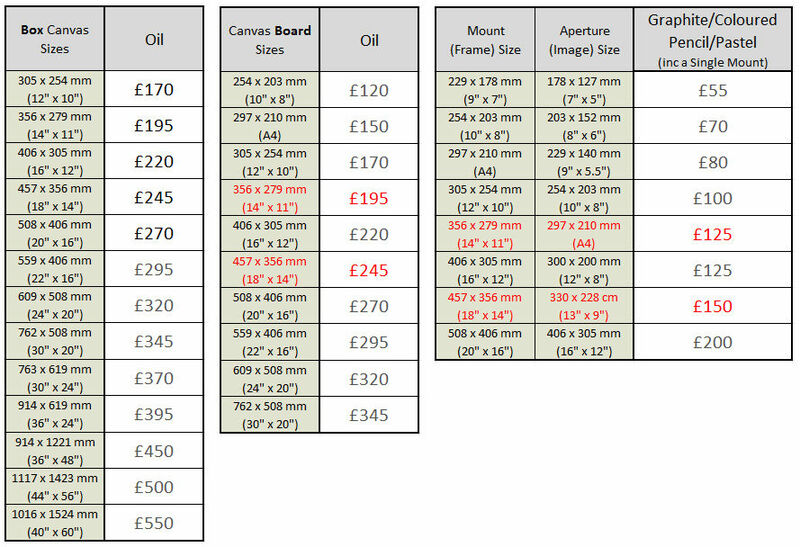 Those prices above in RED may require bespoke framing, whereas a standard frame should be available for all other sizes. Prices include head/shoulder/full body of a single pet.